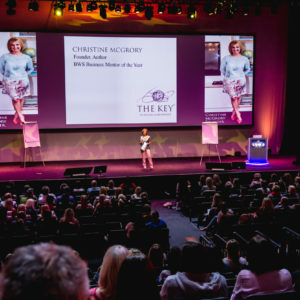 Across six months, Christine McGrory or Megan McGrory , will guide you through The Eight Keys to Health & Wellbeing and as a result shift your health consciousness and positive daily habits FOR LIFE. During this profound and mind blowing experience you will expand your understanding of the impact of the unnatural perceptions and realities around health and wellbeing that are seriously impacting our ability to live free and healthy lives and in return gain a life changing understanding of what creates health at a quantum level. The eight keys are based on new science, spirit and the gifts we have received from Mother Nature. Session by session, Christine and Megan will teach you the 8 keys and as she does you will create and apply a practical plan for your own Health and Wellbeing plan, one that we know that you will commit to. The real genius of The FOR LIFE programme is that you will not only deepen your awareness of health and wellbeing – you will taste it in your food, you will drink it in your juices, you will flow with it as you move, you will breathe it in as you explore nature, you will practice in life and you will become conscious of it as you meditate, indeed you will become it. This is not a diet or a fad, it is The Key to Health and Wellbeing and is guaranteed to change you… FOR LIFE. Christine McGrory is a scientist, spiritual Teacher, qualified yoga teachers and has been a meditator for over twenty five years. “Health and well-being through the highest connection has been a lifelong study. As a scientist I have been able to connect the dots between health and well-being, nutrition, energy, spirit and creativity.This inspired programme has continued to evolve with my own curiosity and expansion, and I believe presents a very unique and profound view in a very two dimensional industry which mainly focuses on food and fitness for solutions to health. The Key to Health and Well-being FOR LIFE programme is a multi dimensional and leading edge shift in of human’s ‘being’ well.